Well that's one way to do it! 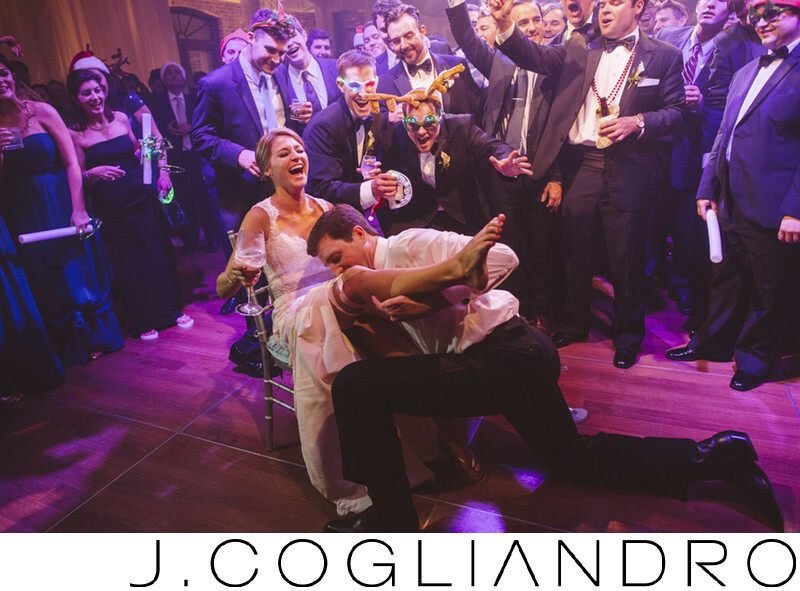 Nick dives in for the garter while his groomsmen cheer him on. Note the reindeer antlers garnishing their heads. Location: Private Residence, Houston, Texas. Keywords: Band: Emerald City Band (6), Christmas Wedding (6), Church: Chapelwood United Methodist Church (6), Event Coordinator: Valerie with Belle of the Ball (6), Houston Wedding (792), Kristen and Nick (6), Photographer: Joe Cogliandro with J. Cogliandro Photography (2883), Reception: Johnson Private Residence (6), Rehearsal Dinner: The Bayou Club (6).